The SCAP Summer Artist in Residence is awarded to a student graduating with a B.A. or B.F.A. who is interested in pursuing a project in book arts. The position includes 10 hr/wk of work as a studio assistant for SCAP with a minimum of eight-week commitment. 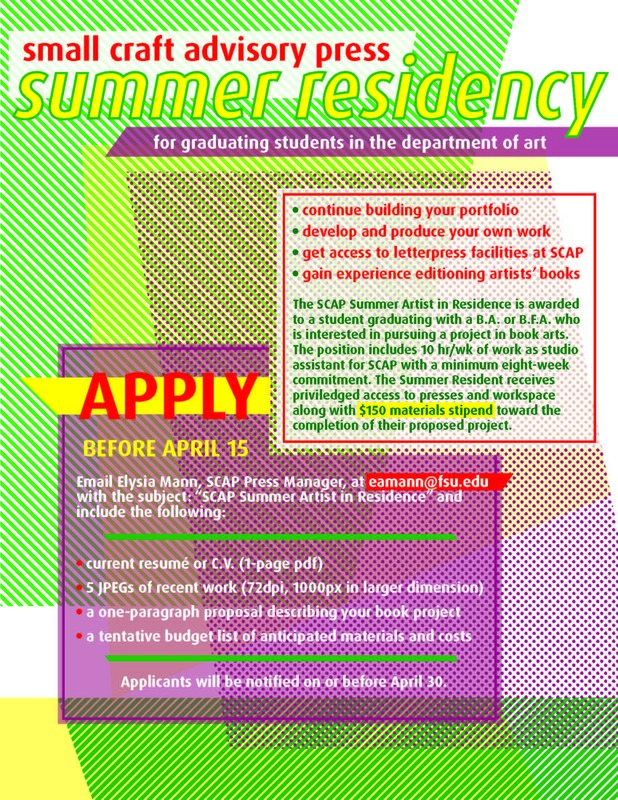 The Summer Resident receives privileged access to presses and workspace along with $150 materials stipend toward the completion of their proposed project. Applicants will be notified on or before April 30th.